What could be sweeter than the Chicago Cubs historic World Series win? How about gobs of Cubs-inspired chocolates? Just in time for the North Siders home opener on April 10, Fannie May will release its Chicago Cubs Collection. 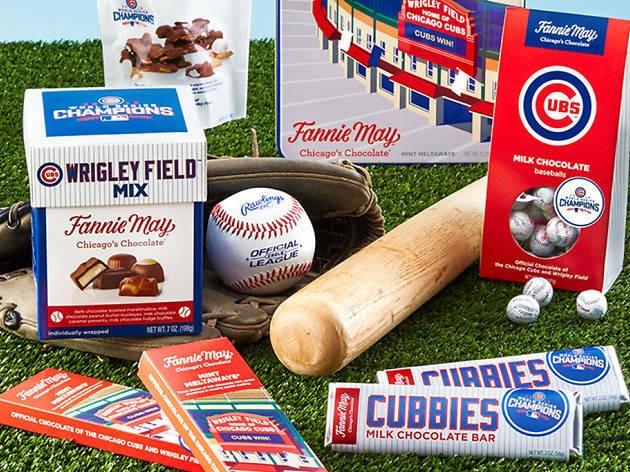 From baseballs made of chocolate to Mint Meltaways and Mini Pixies, this all-star lineup gives your Fannie May favorites the VIP treatment. Here's a sampling of Cubs candies you'll be able to find in stores, online or at the ballpark this season. This silky smooth chocolate bar comes suited up and ready to play ball. 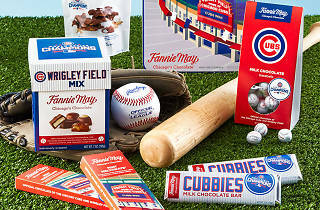 And since Fannie May is the official chocolate of the Chicago Cubs and Wrigley Field, the first 20,000 fans to enter the stadium during home games this season will get a coupon for a free Cubbies Milk Chocolate Bar. S'mores, like baseball, are universally loved. This home-run snack mix includes graham cracker bits covered in milk chocolate and soft mini marshmallows. Remember the heyday of the Friendly Confines with this vintage-inspired collection of Mint Meltaways—a Hall of Famer in their own right. This All-Star assortment of Fannie May MVPs offers up almost 4 pounds of individually wrapped chocolate pieces. Mini Pixies, Green Mint Meltaways, Milk Chocolate Mint Meltaways, Trinadads, Milk Chocolate Carmarsh, Dark Chocolate Carmarsh, Milk Chocolate Sea Salt Caramel and Dark Chocolate Sea Salt Caramel are all in the team picture.